Software code. It is a Beta version 0.94 and so far I like the fact that it is a little bit more configurable, and I like the look and feel of the layout. Below is information on the Authors etc. JTMS For meteor scatter. Character transmission rate 197 cps. FSK441 For meteor scatter. Character transmission rate 147 cps. ISCAT Optimized for meteor and ionospheric scatter at 6 meters. Character transmission rate 16.15 or 32.3 cps. 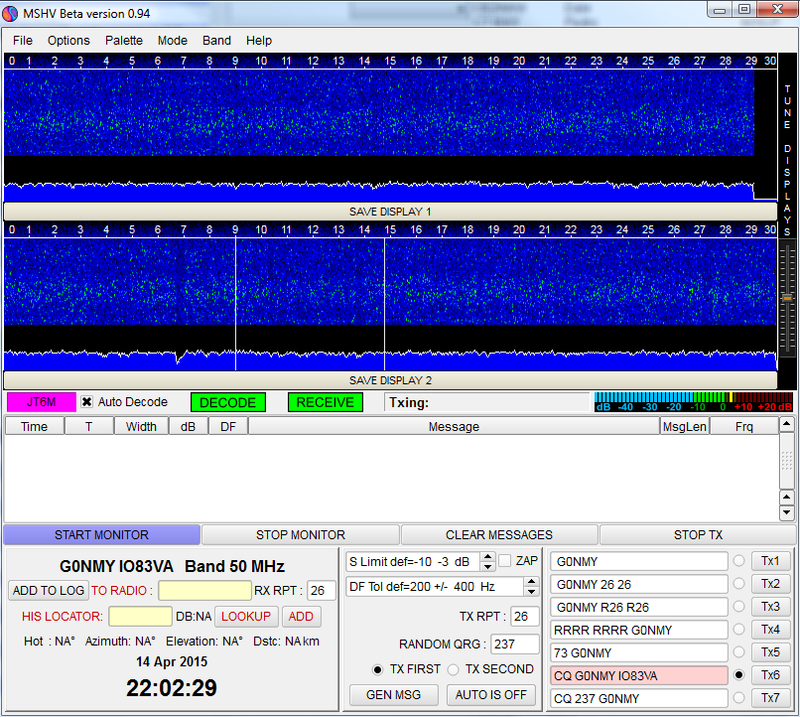 JT6M Optimized for meteor and ionospheric scatter at 6 meters. Character transmission rate 14.4 cps. As you can see it is very simalar to WSJT but I like it's all in one program layout. Anyway I am in the process of trying it out to see if it works as well as the original program.